Hajj is the mandatory religious obligation which is obligatory on every financially or physically stable Muslim once in a lifetime. Every year in the month of Dhul Hajj Muslims from all around the world travel to Saudi Arabia in Makah for offering Hajj (Pilgrimage). Hajj with pure intention and just for the sake of Allah Almighty will cleanse the person internally; his soul will be like a newborn with his body free from previously committed sins. There is an excessive amount of information associated with Hajj; most is critical to ensure that Hajj is performed not only in the best intentions but also in the correct manner. For performing this obligation in the correct manner with full devotion and respect we all should know about the facts related to Hajj (Pilgrimage). There are some important and interesting Hajj facts that all Muslims should be aware of. Here we will outline some important details concerning Hajj in order to perform this immensely important and complex ritual in the correct manner. Religion Islam has five pillars; Hajj is the fifth pillar of Islam. Hajj is obligatory on every financially and physically stable Muslim once in a lifetime. The Hajj is commanded in the Holy Quran. “And pilgrimage to the House is a duty unto God for mankind, for him who can find the way thither” (Quran, 3:97). The hajj was one of the last public acts of worship that our beloved Prophet Muhammad (SAW) performed before His death. Hajj (Pilgrimage) occurs on the 8th to 12th of Dhul Hajj, the last month of the Islamic calendar. Those who perform the Hajj are called Hajjis; sometimes these individuals adopt the title (Hajji) in front of their name following their accomplishment of the ritual. During the Hajj men and women have to wear a special cloth called Ihram. Ihram is the white two-piece cloth that Hajjis wear while performing Hajj. The Ihram consists of two sheets; one is to cover the lower body while the other one is used to cover the upper body. Men are required to wear Ihram while the women are required to dress up normally along with Hijab covering their hair and neck, but those who usually wear face coverings are not allowed to do so during the hajj. Mount Arafat is a sacred mount where our beloved Prophet Muhammad (SAW) delivered His (PBUH) final sermon in which He (SAW) preached the mankind about each and every matter of life. 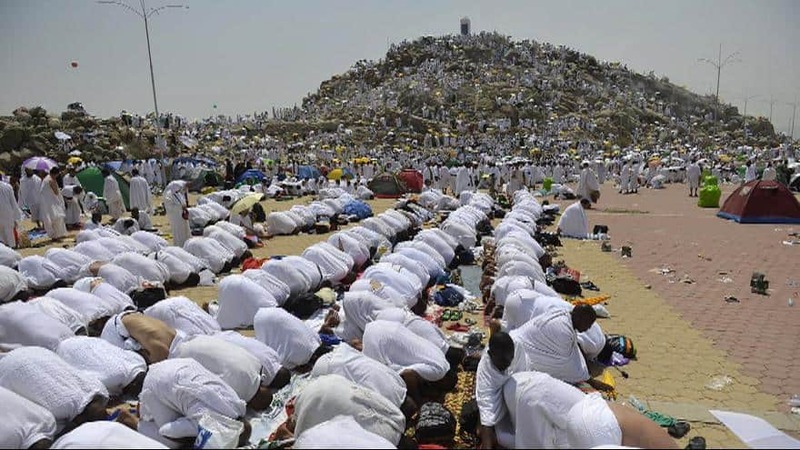 Muslims also travel to Mount Arafat during the journey of Hajj (Pilgrimage). There are a number of other ritual acts that Muslims perform during the Hajj, including ‘the stoning of the devil’ in Jamaraat. Jamaraat is the place where three walls located in close vicinity to each other that donate the exact spot where the devil, in human form, tried to mislead Prophet Ibrahim (AS) against following Allah’s instructions. Prophet Ibrahim rebuked him by throwing stones at him and he went away. After performing the stoning ritual, Muslims perform Udhiya, also known as Qurbani in which they sacrifice a goat, sheep, cow or camel for the sake of Almighty Allah. The meat is then distributed to the poor and the needy as well as among neighbors and relatives. Pilgrims travel to Mina, a small village about 5km from Mecca where they throw pebbles at stone pillars which represent the devil. Muslims perform Tawaf-al-Wida entails walking around the Holy Kaaba inside Masjid Al-Haram anti-clockwise 7 times. Pilgrims drink the water of the Zamzam well which is located 20m east of the Kaaba. Zamzam water is thought to have special properties among Muslims. The water is believed to come from the same source as the spring which provided water for Hazrat Ismail (AS). Many pilgrims or Hajjis stay in the thousands of white tents set up in the valley of Mina without considering the temperature is how much high. Eid al-Adha is a feast marking the end of the Hajj (Pilgrimage). It is known as the feast of sacrifice, in remembrance of Prophet Ibrahim’s (AS) willingness to sacrifice His beloved son Prophet Ismail (AS) just for the sake of Almighty Allah. 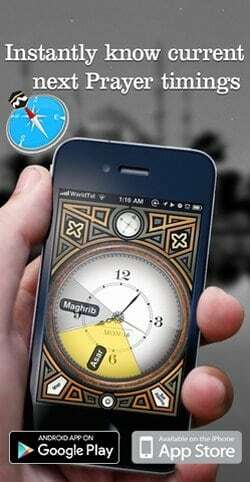 Last 10 Surahs of Quran – Gift Of Ten Surahs In ONE App!